I just found a very interesting tidbit…. 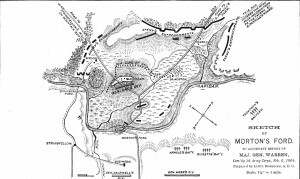 A certain Gettysburg licensed battlefield guide has stated a theory that Farnsworth’s Charge occurred a mile or so away from where traditional accounts place it. I’ve always maintained that that theory is just that–a theory. J David Petruzzi and I wrote a very lengthy essay rebutting this theory that appears as an appendix to the second edition of my book Gettysburg’s Forgotten Cavalry Actions, the content of which was largely based on the words and comments of the veterans of the battle. For a larger view of this map, please click on it. 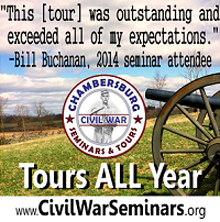 There were many important early chroniclers of the American Civil War. 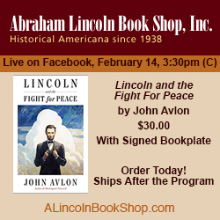 Most have been long forgotten in the tidal wave of books on the Civil War that has marked the last 150 years. Few were more important than Bvt. Maj. Gen. John Watts DePeyster of New York. 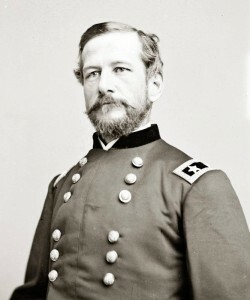 DePeyster wrote a number of very influential works on the war, including treatises on tactics and a vigorous defense of Maj. Gen. Daniel E. Sickles’ conduct during the Battle of Gettysburg. DePeyster was very influential in his time, but he is almost completely forgotten by history today. Over the years, the green rolling Piedmont hills around Brandy Station in Culpeper County have engendered visions of hundreds of houses and condominiums, a multiplex theater, a water park, an equestrian center, a hotel and even a Formula One race track. 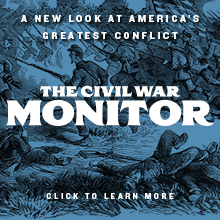 Each of the proposals generated high-profile struggles between the would-be developers and preservationists because these fields were the place where the largest cavalry engagement of the Civil War occurred. Cross-posted at Emerging Civil War. After examining the evidence, it seems clear that Senator Wade’s inflammatory and defamatory statements about Meade’s conduct of the pursuit of the Army of Northern Virginia were simply incorrect. Given the circumstances under which he was forced to operate, the army commander did everything possible. His army had suffered massive losses, had lost its three most aggressive corps commanders, was saddled by constraining operating orders, faced severe logistical challenges, and then had to confront an incredibly strong defensive position under the command of one of the greatest military minds ever born in the North American continent.